"Original English text taken from the Scriptures by Charles Jennens (1700-1773)." 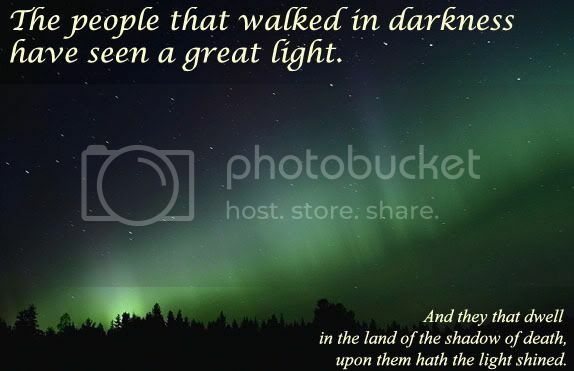 The people that walked in darkness have seen a great light. And they that dwell in the land of the shadow of death, upon them hath the light shined.